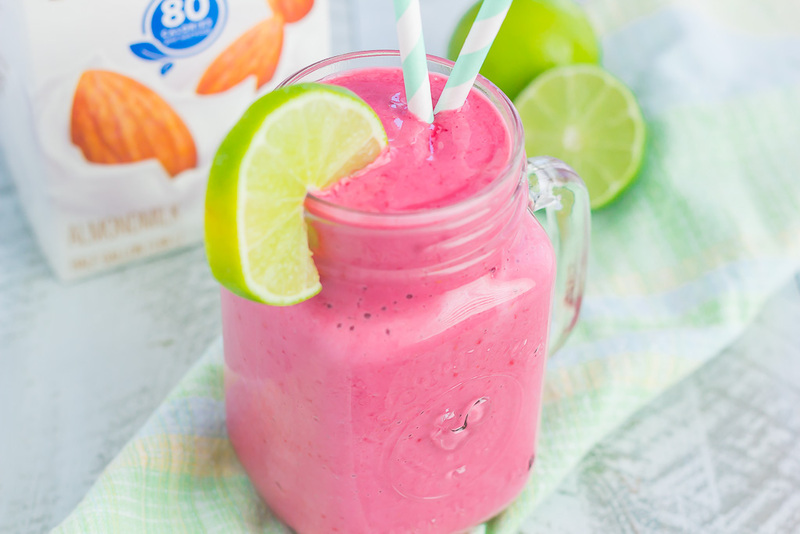 This Raspberry Lime Smoothie is thick, creamy, and ready in less than five minutes. 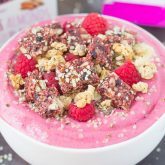 Packed with sweet raspberries, tangy lime, and simple ingredients, this nutritious drink is perfect for a quick breakfast or on-the-go snack! Now that we’re nearing the end of January, how is the new year treating you so far? Are you keeping up with your resolutions? Or are those now a thing of the past? I’ve mentioned this before, and I’ll say it again…I’m not one to make resolutions of any kind. Instead, I refer to them as goals. I am constantly setting goals for myself throughout the year, in my personal and professional life. And you know what? Goals seem much easier to keep than resolutions, at least for me. One of my goals for this year to keep healthy and fit. Sounds pretty basic, but I’m strongly placing an emphasis on eating clean (watching processed ingredients, increasing the amount of fruits, veggies, and lean meats, etc.). It’s extremely important to me that I not only look, but feel my best, too. And food plays a vital role in all of that. And with a new year comes the perfect time to make some of those changes. I’m working towards my goals and am feeling good about it! 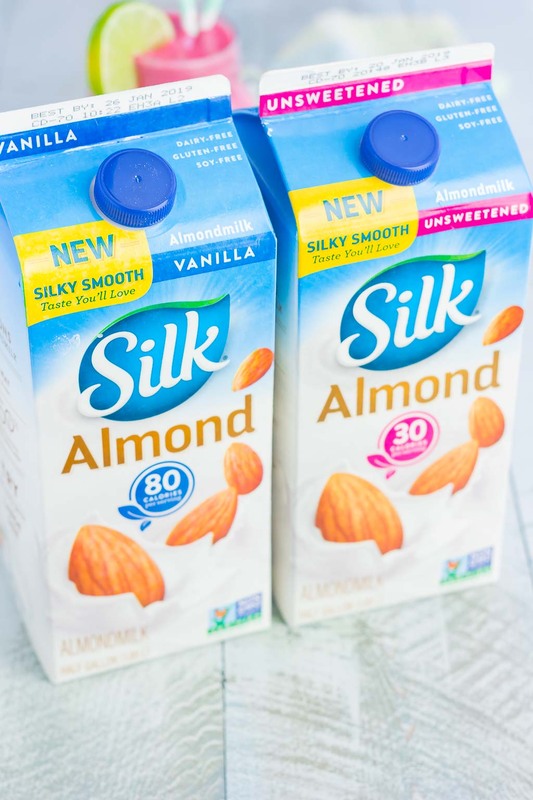 When I was shopping at Walmart last week, I came across Silk Almondmilk. I’ve been using this brand for years and find it easy, delicious, and nutritious. Whether I’m using it in a smoothie or adding it to baked goods, I can always find a way to incorporate Silk in the kitchen. 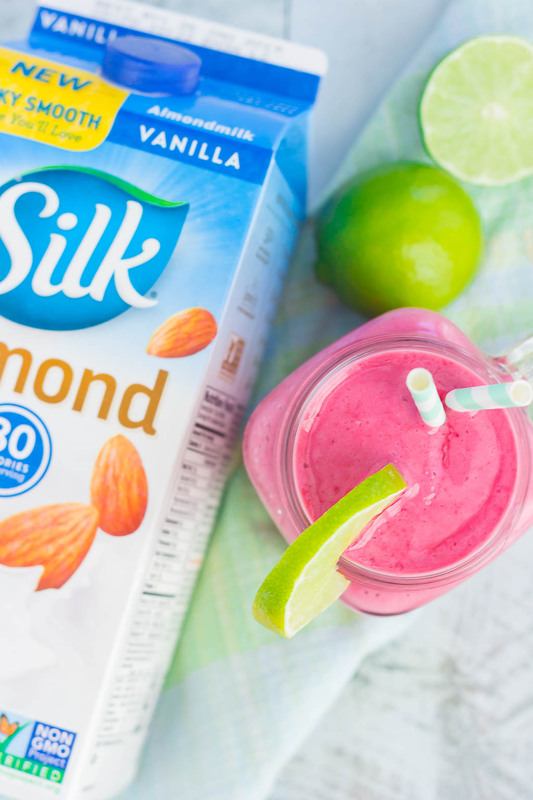 Big changes come with small steps, and Silk Almondmilk is an easy win for people who are looking for a new health and wellness routine. And since my biggest goal of the new year is to eat better, using Silk is a natural way to do this. By incorporating more smoothies into my diet, I’m getting a boost of nutrition that I desperately need. Just add Silk! Check out this Ibotta offer to get $0.50 cashback! 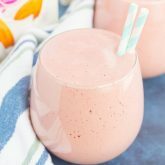 After stocking up on Silk Unsweetened Almondmilk and Silk Vanilla Almondmilk from Walmart, I headed home to whip up an easy smoothie. And if you’ve been hanging around here long enough, then you know that I love getting creative with my smoothies. It such an easy way to pack a boost of flavor and nutrition into one, creamy and dreamy drink. With so many different fruits and Silk products to add to your smoothies, the combinations are endless. 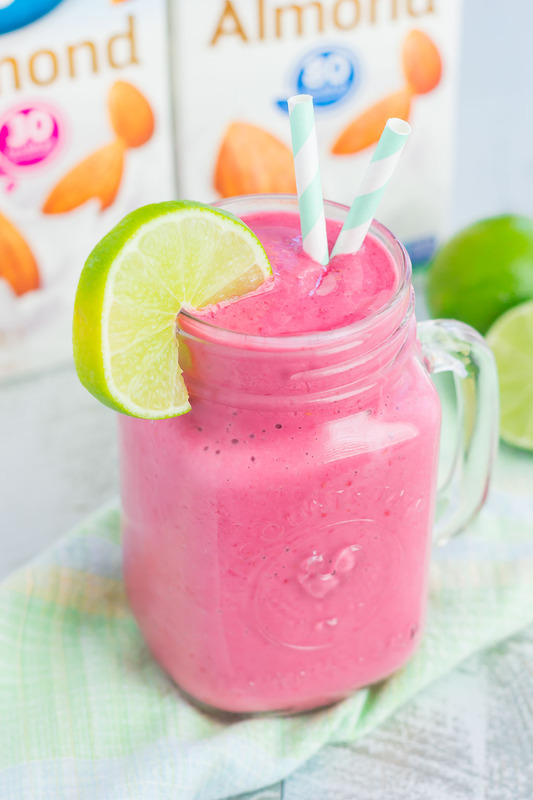 This Raspberry Lime Smoothie is a breeze to make, but, you knew that was coming, right? To start, you’ll add some frozen raspberries, and the juice and zest of one lime to the canister of your blender. Then, add some Silk Vanilla Almondmilk, Silk Vanilla Dairy Free Yogurt Alternative, and honey to sweeten, if desired. Blend away until it reaches your desired consistency (I like my thick and creamy!) and then pour into a glass and enjoy. 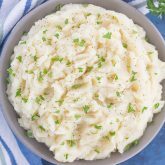 Easy-peasy and oh-so delicious, friends! 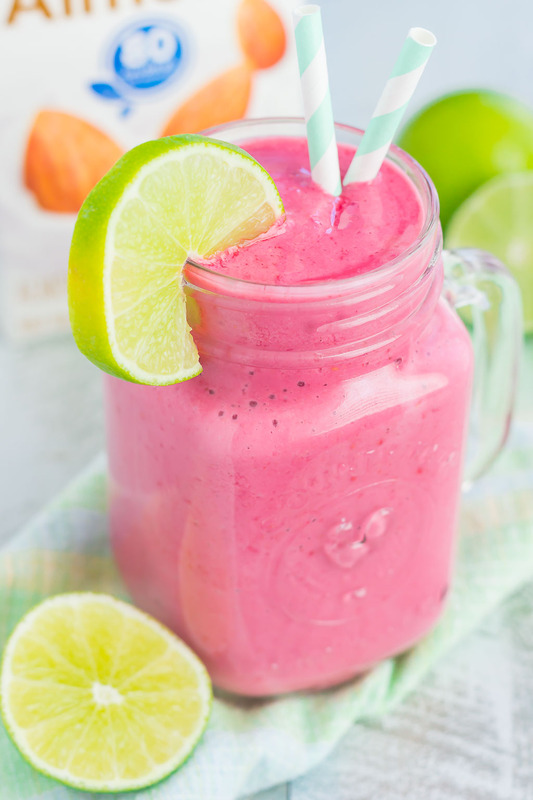 This Raspberry Lime Smoothie is sweet, filled with good-for-you ingredients, and perfect to start the new year with a strong focus on eating healthy and achieving those wellness goals. 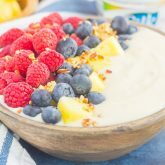 In the canister of a blender, combine the frozen raspberries, juice and zest of one lime, Silk Vanilla Almondmilk, Silk Vanilla Dairy-Free Yogurt Alternative, and honey (if desired). Like what you see? 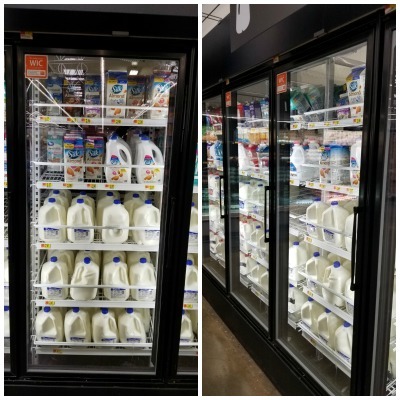 Then head over to your nearest Walmart to check out their selection of Silk Almondmilk.